GUADALAJARA, Mexico - A teen fugitive from Texas known for using an "affluenza" defense was granted a three-day delay in deportation on Wednesday, the same day he and his mother were scheduled to be sent back to the U.S., according to a Mexican official. An official with Mexico's Migration Institute told The Associated Press that 18-year-old Ethan Couch won a three-day court injunction. The official spoke on condition of anonymity because he or she wasn't authorized to be quoted by name. It wasn't immediately clear if Couch's mother, Tonya Couch, also would be granted a delay. Both had been scheduled to fly back to Houston on Wednesday evening after authorities said a phone call for pizza led to their capture in the Mexican resort city of Puerto Vallarta. They were being held at immigration offices in Guadalajara. Couch's attorneys did not immediately return calls for comment. A U.S. Marshals Service agent tipped local authorities off Monday to the location of Couch ? who was on juvenile probation after killing four people in a 2013 drunken-driving wreck ? and his mother, according to a police report issued by the Jalisco state prosecutors' office. Couch disappeared as authorities investigated whether he had violated the terms of his probation. 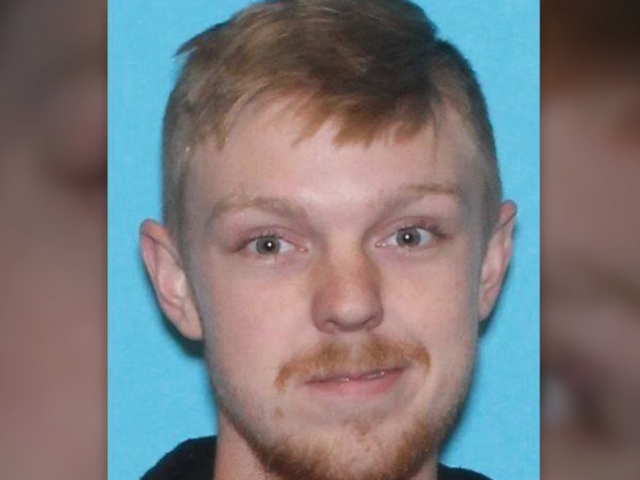 Mexican police say the fugitive "affluenza" teenager and his mother spent three days in a rented condo at a resort development in Puerto Vallarta before finding an apartment in a less glitzy area where they were found by police. During the sentencing phase of Couch's trial in Texas, a defense expert argued that his wealthy parents coddled him into a sense of irresponsibility ? a condition the expert termed "affluenza." The condition is not recognized as a medical diagnosis by the American Psychiatric Association, and its invocation drew ridicule. According to the police report, one of the Couches' telephones had been used to order delivery from Domino's Pizza to a condominium complex in Puerto Vallarta's old town, far from the glitzy resorts of the city's newer section. Agents from the prosecutors' office went to the complex, where a tourism operator told them that the people who had occupied the condo were asked to vacate because the owners were coming to stay, the report said. The Couches then moved to an apartment, and the agents set up a surveillance operation in the surrounding streets. On Monday evening, detectives approached two people on a street matching the Couches' description. The police report said they showed an "evasive attitude," gave inconsistent stories about their names and failed to provide proof of their legal migratory status in Mexico. "They were confusing about their names and mentioned they had no identification and no immigration documents," the report said. Tarrant County Sheriff Dee Anderson said Tuesday that the Couches had prepared to be gone a while, even dyeing Couch's blond hair black. "They had planned to disappear. They even had something that was almost akin to a going-away party before leaving town," Anderson said. He would not give details about the event, including how many people attended. Anderson said Couch and his mother apparently crossed the border in her pickup and drove to Puerto Vallarta. It was not clear whether they had any accomplices. No immediate charges were planned for others who may have known about or assisted with the flight plan, Anderson said. He said authorities have no evidence that Couch's father, who owns a sheet metal factory in North Texas, was involved. The sheriff has said he believes the two fled in late November after a video surfaced that appears to show Couch at a party where people were drinking. Authorities had begun searching for the pair after Ethan Couch missed a mandatory appointment with his probation officer on Dec. 10. If found to be drinking, Couch's probation could be revoked and he could face up to four months in jail. Once returned to Texas, Couch will be held in a Tarrant County facility until a probation violation hearing Jan. 19. Tarrant County District Attorney Sharen Wilson said that at the hearing she plans to ask a judge to transfer Ethan Couch's case to adult court. Couch would then face up to 120 days in an adult jail, followed by 10-year probation. If he violates probation, he could face up to 10 years in prison per death, Wilson said. If the judge declines to transfer Couch to adult court, Wilson will ask that his probation be revoked, in which case he could be held in a juvenile facility until his sentence expires when he turns 19 next April. Couch was driving drunk and speeding on a road south of Fort Worth in June 2013 when he crashed into a disabled SUV off to the side, killing four people and injuring several others, including passengers in his pickup truck. Greg Coontz, a Burleson, Texas, attorney representing the family of one of the victims of the crash, said Tuesday that his clients looked forward to seeing the Couches face the consequences of their actions. "I can't think of a worse attempt to evade punishment," he said. Emily Schmall reported from Fort Worth, Texas. Associated Press reporters E. Eduardo Castillo, Peter Orsi and Mark Stevenson in Mexico City contributed to this report.